Biography of Ray F Blair, Sr. Possibly, as well, a camp near Bruneau, Idaho. Ray F Blair, Sr., was born 1 Feb 1911 in Murray Utah. His family moved to southern Idaho when he was only three years old, so Ray grew up on the family homestead near Pocatello and Lava Hotsprings. As with most families at that time, money was tight or non-existent, but Ray's parents always sacrificed to make sure their children got an education. Several times during his school years, his mother moved with the children into the nearest large town for the winter, so that the children could attend school. Ray married Mary Godfrey 29 Aug 1932, while they were both still in high school. He attended Idaho State University in Pocatello for a time, but later moved his young family to Logan, Utah, where he attended the Agricultural College, which is now Utah State University. Ray worked nights to support his young family and attended college during the day. While he was still in college, Ray and Mary took their small children and spent several summers on fire lookouts in the Salmon National Forest. Ray also spent one summer, 1937, mapping the Salmon National Forest. In the late 30's, Ray began working for the CCC as a Technical Foreman Engineer. He worked in two different southern Idaho camps, and possibly worked in other camps, as well. He worked in Camp G-99 near Mountain Home, Idaho (Company 4605) about 1938, when they were building water ponds for the livestock in the desert. He also worked in Camp G94, Midway (Company 1292) near Blackfoot, Idaho, in 1941. His wife said that Ray worked near Bruneau, Idaho, as well, but I'm not sure if he was actually stationed at the Bruneau camp or was still with the Mountain Home camp at the time. 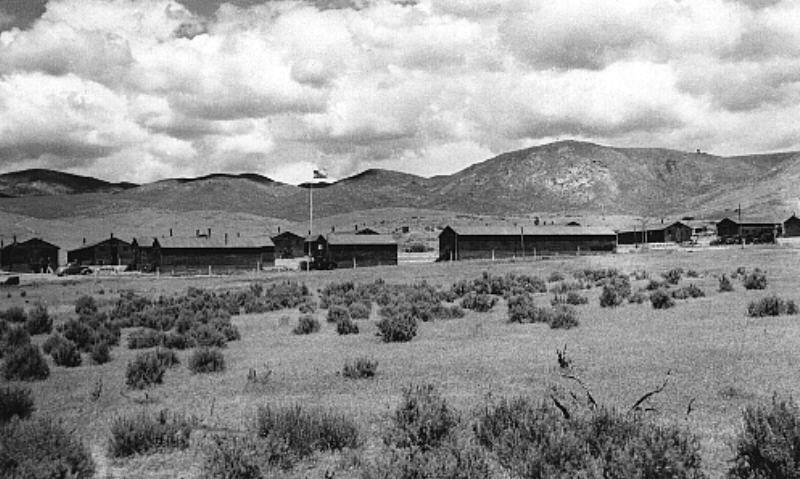 Ray moved his growing family to live in Mountain Home while he worked at the Mountain Home camp and also moved them to Blackfoot when he worked at the Midway camp. In Mountain Home, Ray and Mary, had a two-story house. They let John Lathrop, a CCC man, and his wife Jane, who was from Mountain Home, live upstairs. (John's nickname was "Frog" because of the way he would sit when out in the field.) The Lathrops had a baby girl while they were living with the Blairs. 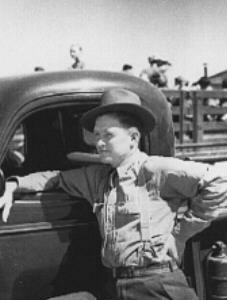 After the CCC, Ray went to work for the Soil Conservation Service, where he worked both before and after World War II. Ray, who by then had seven children ages 12 and under, enlisted in the Navy in the last years of the war and went to officer's school in Florida. He was in California for the last stages of training, soon to be headed for the Pacific, when the war ended. Ray continued active involvement in the Navy Reserve for many years thereafter. In the late 50's Ray joined with a partner, bought undeveloped land to farm, and built Blair-Trail Reservoir, which is now a popular fishing area west of Glenns Ferry, Idaho. The reservoir provided the water for the 360 acres Ray farmed. He drilled a well for drinking water, moved an old house to the property, and then moved his wife and the younger children to the farm. Though the place began as a farm, it wasn't long before it became a working cattle ranch. Within a few years, Ray was heavily involved in the cattle business and had over 500 head of beef cows. He was extremely active in agricultural and ranching organizations and, as was typical for him, worked right up to the day he died, Easter Sunday of 1987. If anyone reading this short biography was acquainted with Ray, who was my grandfather, I would really like to hear from you. All I know about his years in the CCC was the little my grandmother remembered and the little I gleaned from an old tax return and an insurance policy. I would like my children to know about the CCC, about the people Grandpa knew and worked with, and what projects those camps tackled.